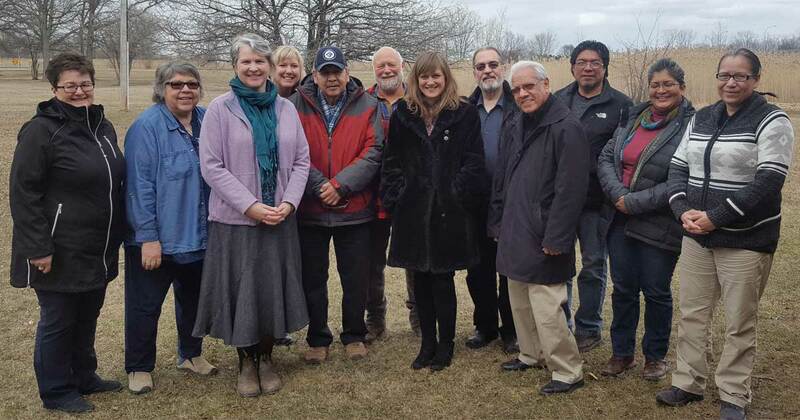 Members of the Primate’s Commission on Discovery, Reconciliation, and Justice. 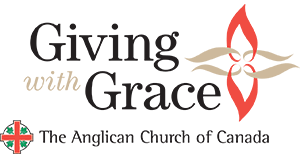 Established in 2014, the Primate’s Commission on Discovery, Reconciliation, and Justice serves as part of the response of the Anglican Church of Canada to the United Nations Declaration on the Rights of Indigenous People. 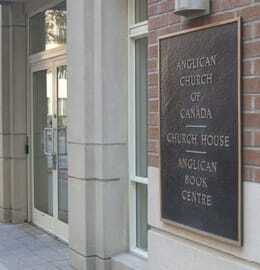 Comprised of Indigenous and non-Indigenous Anglicans, the commission is tasked with reviewing church structures and policies to identify and seek ways to eliminate vestiges of the Doctrine of Discovery; creating a plan for reconciliation to overcome intergenerational trauma caused by policies such as the residential schools; and assessing injustices in Indigenous communities to determine areas where the church can make a difference. Read a letter from the Primate on the creation of the Commission. 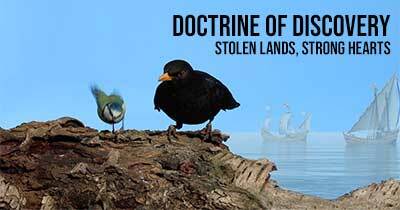 Doctrine of Discovery: Stolen lands, Strong Hearts NEW! A feature-length documentary film and accompanying study guide produced by the Commission in response to the calls to action by helping to provide education and insight into the racist foundations of many of our property and other laws still in existence to this day. For more information, contact Melanie Delva, staff support for this Commission. Reconciliation, what does it look and feel like? Study the role of spirituality/lack of spirituality in the injustices found in our Indigenous communities, both rural and urban, to answer the question: “How can the Church improve the quality of life in our Indigenous communities? 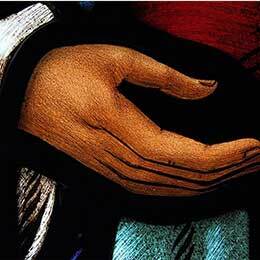 Updates and news items from the Primate’s Commission to the Church. A range of resources are available to provide further information on the Doctrine of Discovery and the long struggle for Indigenous self-determination. 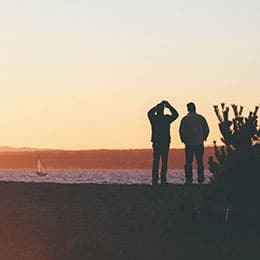 A litany developed by the Commission for use in community settings, whether in Sunday worship, diocesan or deanery meetings, study groups, or another form of gathering.